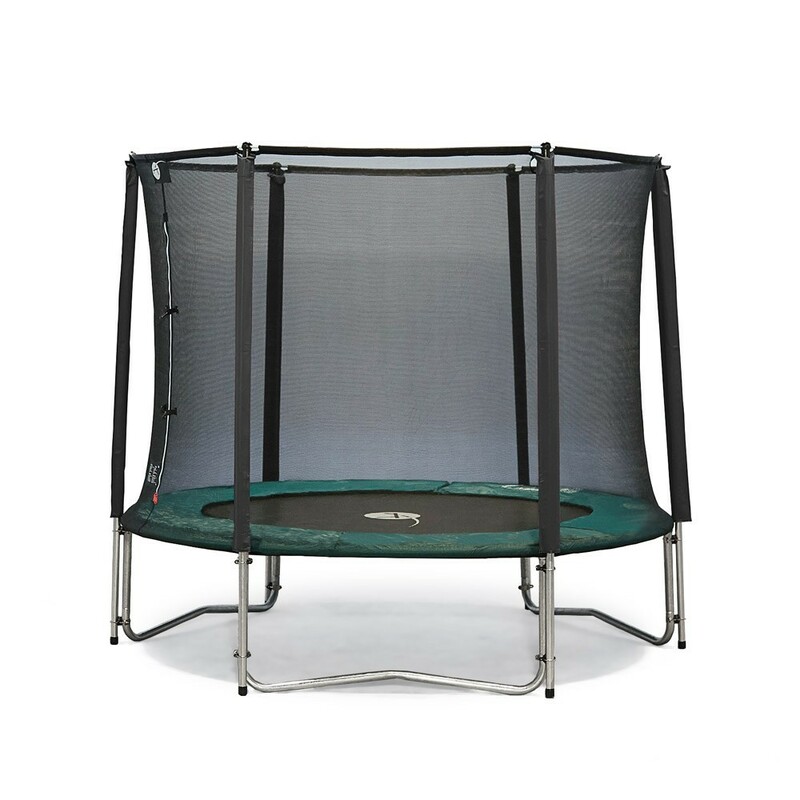 The 10ft Jump’Up 300 with all the indispensable accessories. 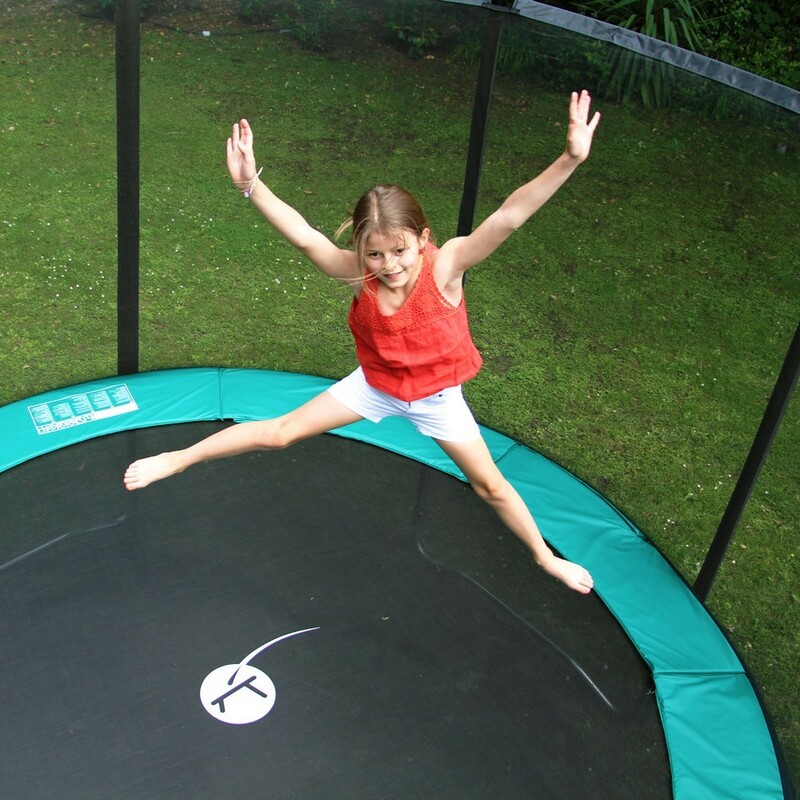 This 10ft trampoline for children is provided with the safety enclosure, ladder, anchor kit and protective cover. 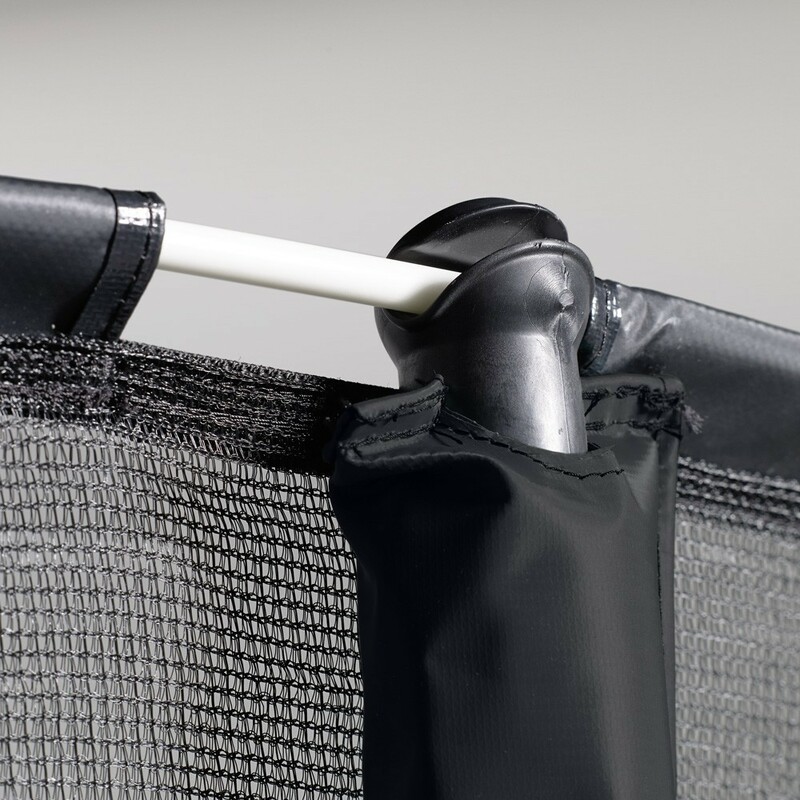 This maxi pack will protect your trampoline in all circumstances! 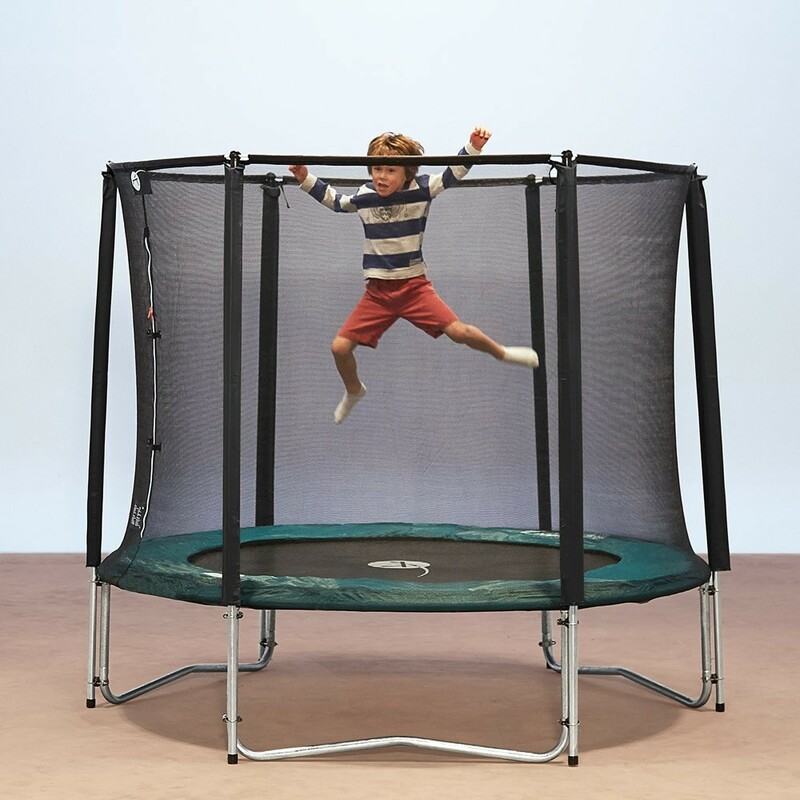 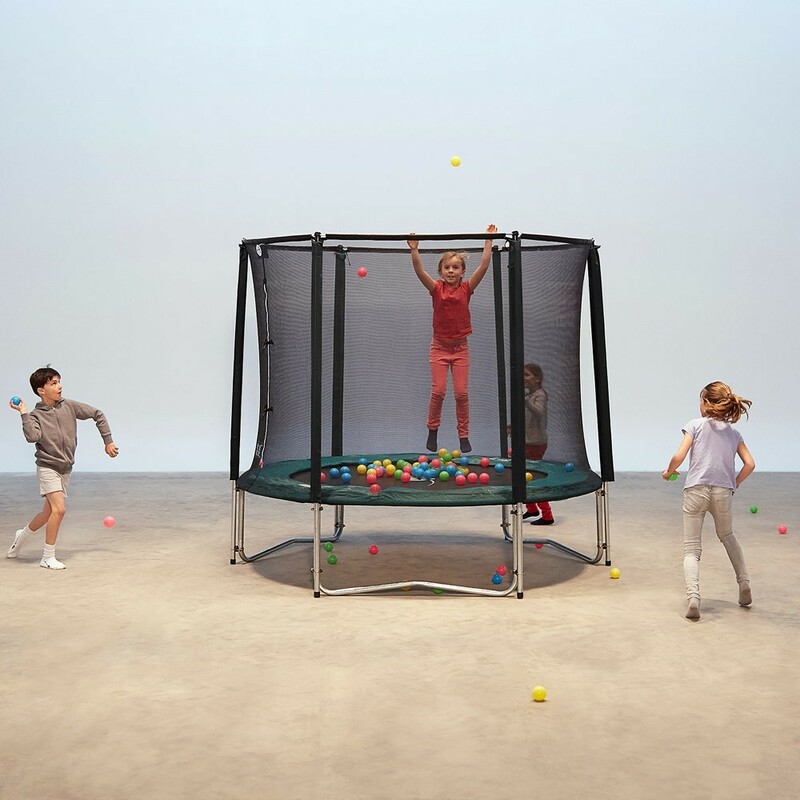 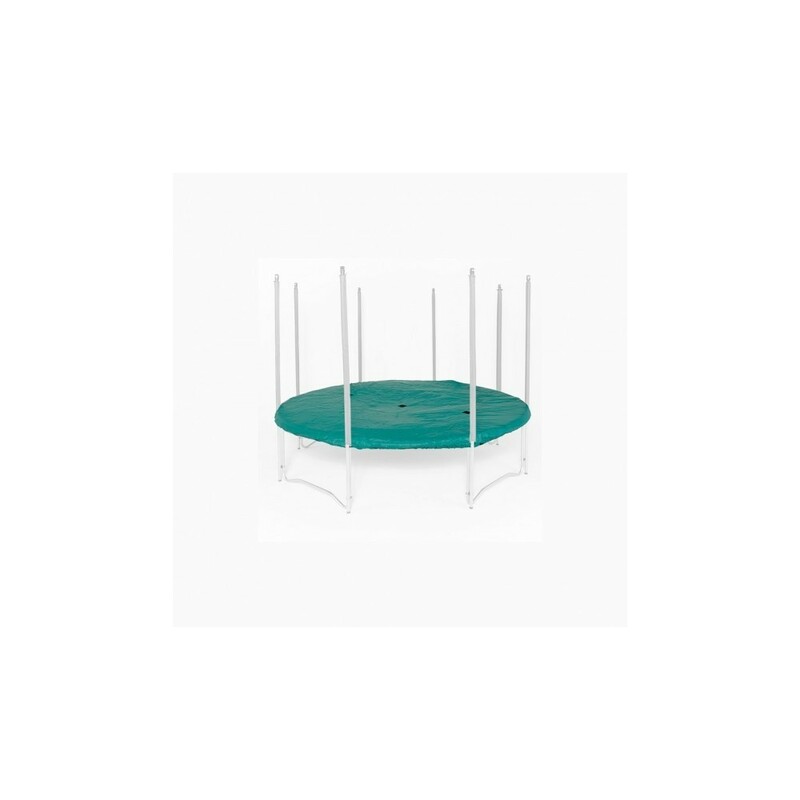 - This 3.05 m family trampoline supports up to 120 kg thanks to its 38 mm in diameter hot-dip galvanised steel frame. 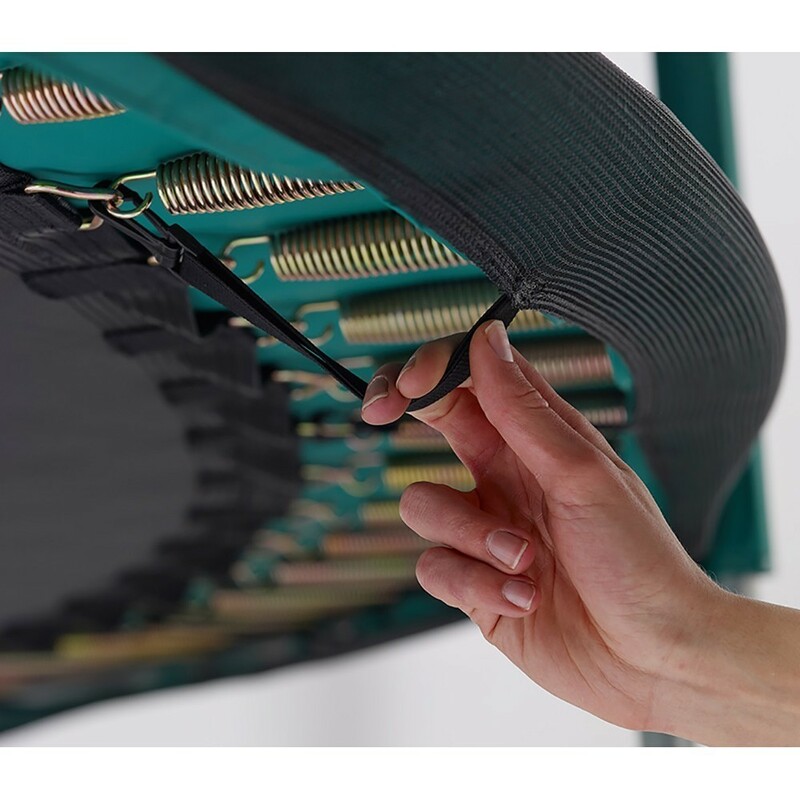 The structure is held together by T-junction parts, a lot stronger than simple welding. 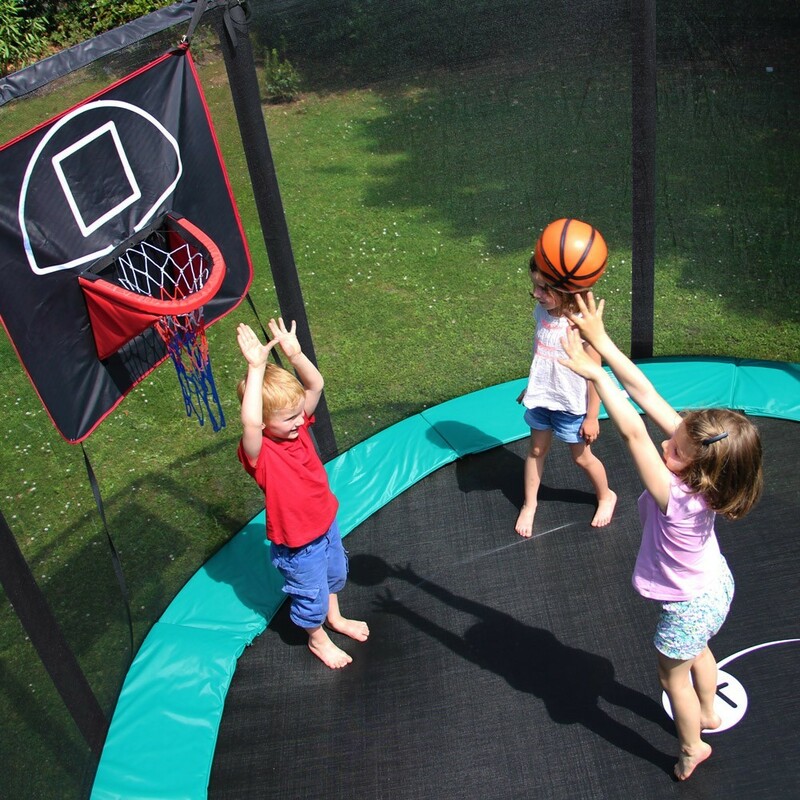 - The polypropylene mesh jumping mat and 20 mm thick, PVC coated frame pad are both UV-light resistant. 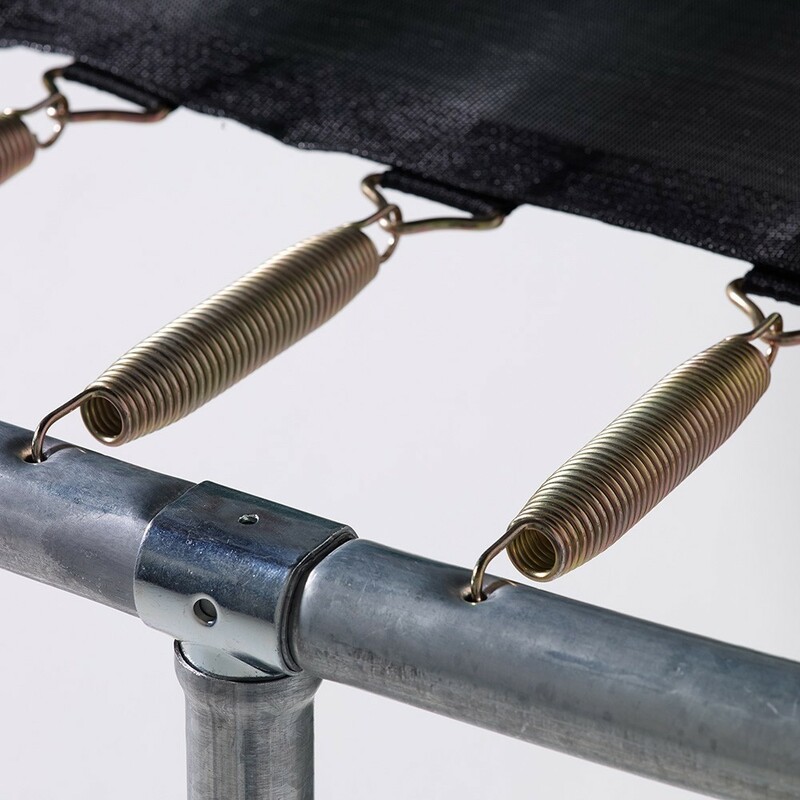 - The safety enclosure made with very fine netting, to avoid little fingers from getting caught, is held in place by fibreglass rods and 6 posts that stretch right down to the ground for extra stability. 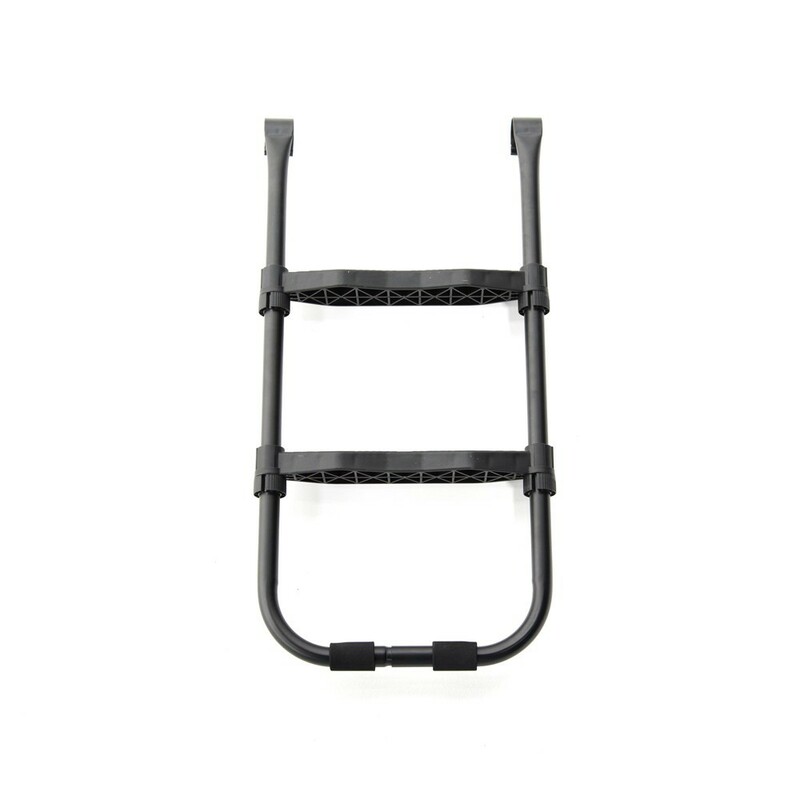 - The ladder is equipped with 7.5 cm wide anti-slip steps, a lot more comfortable than cylindrical steel steps. 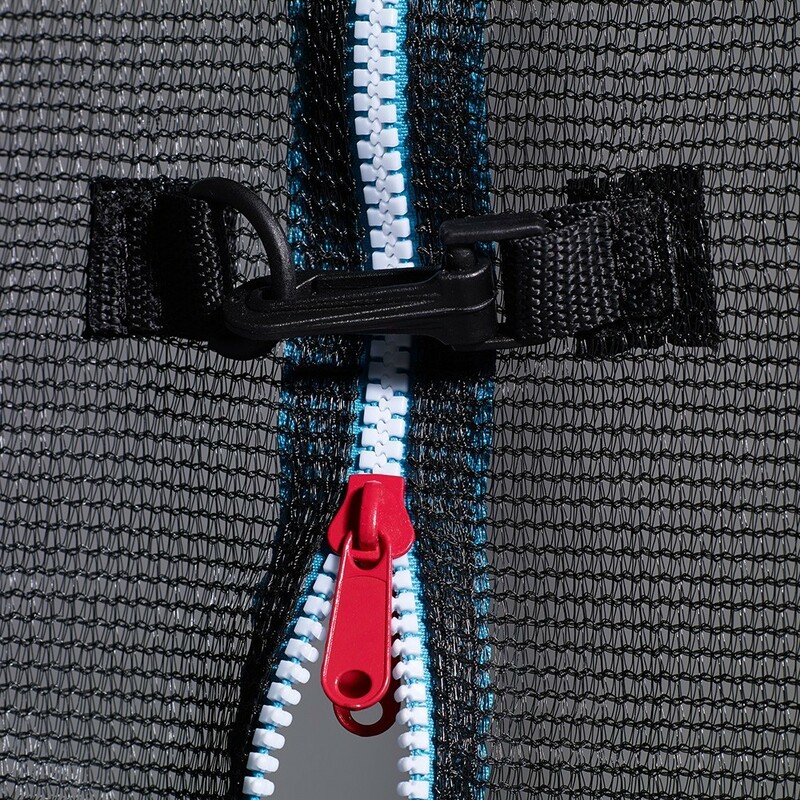 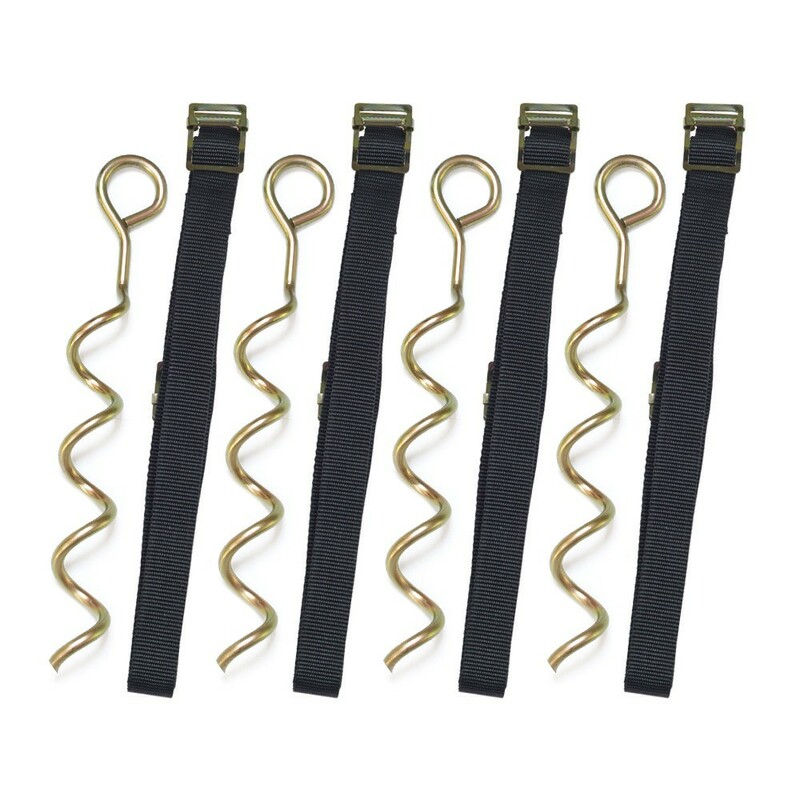 - The anchor kit is made up of 4 winged screws and straps. 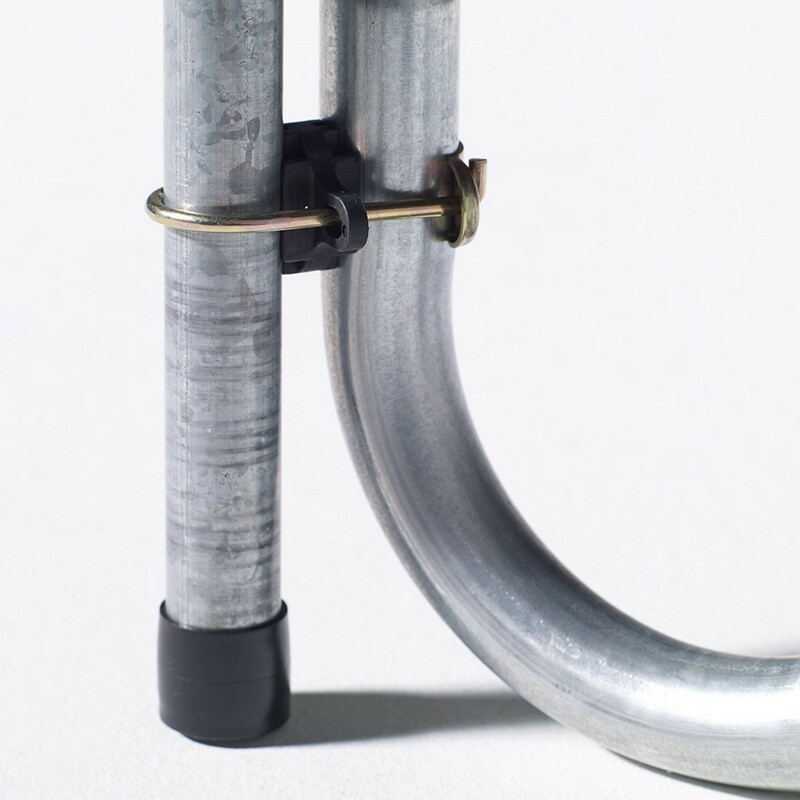 This accessory is necessary for those living in windy regions. 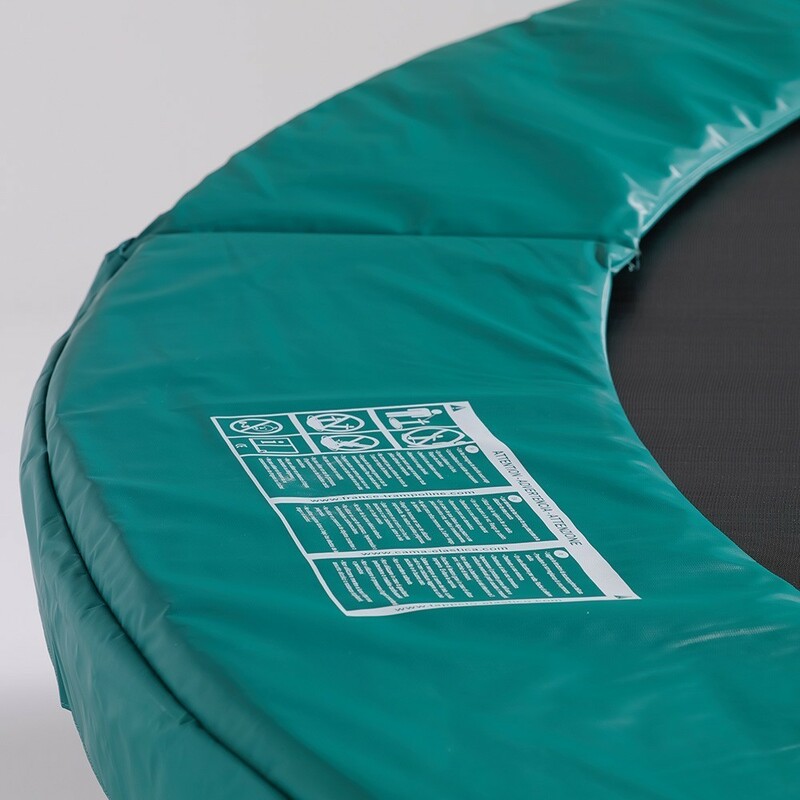 - The premium protective cover will allow you to protect your jumping mat from dead leaves, pollen and general dirt. 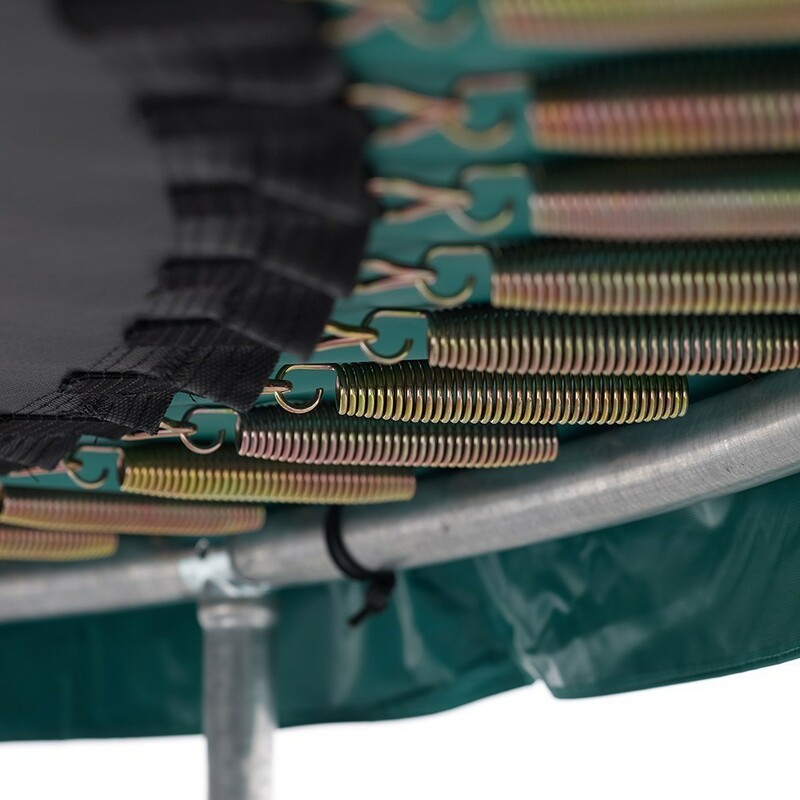 In the centre of the cover is a grid to evacuate water. 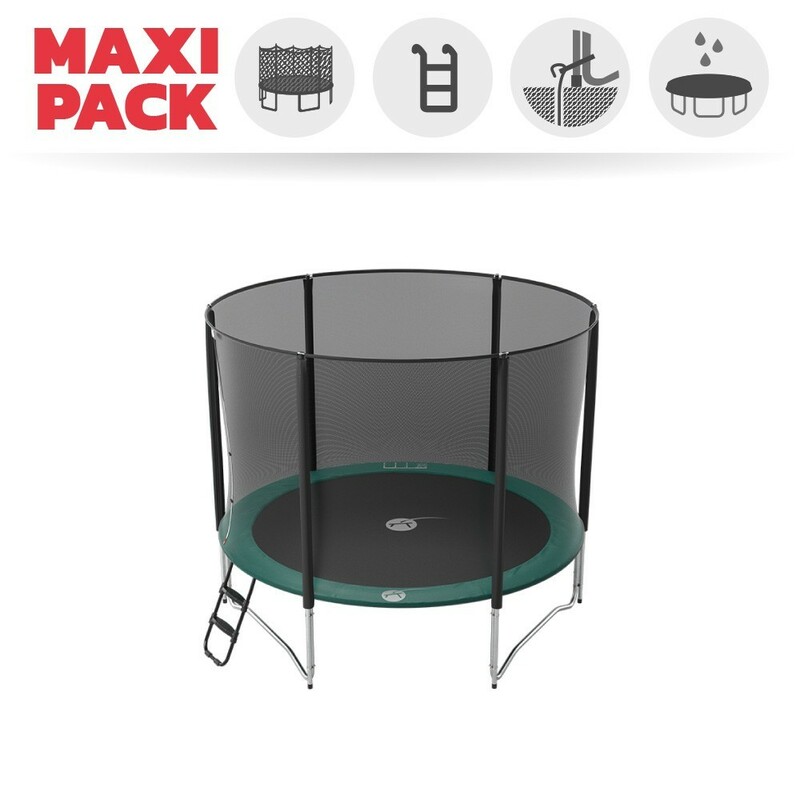 Excellent produit. 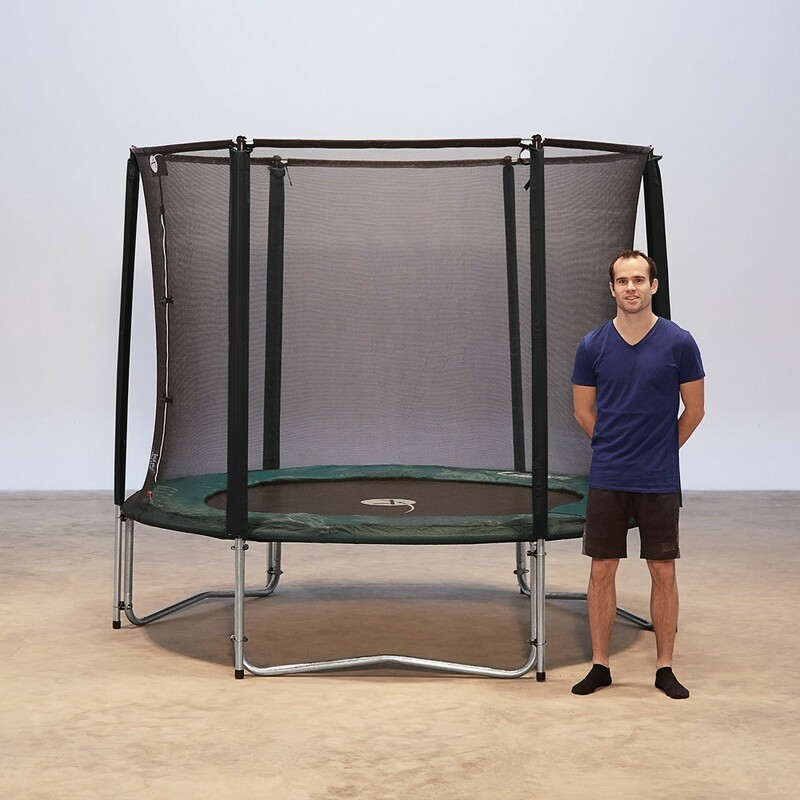 A monter à 3 ou 4 personnes pour que ce soit facile. 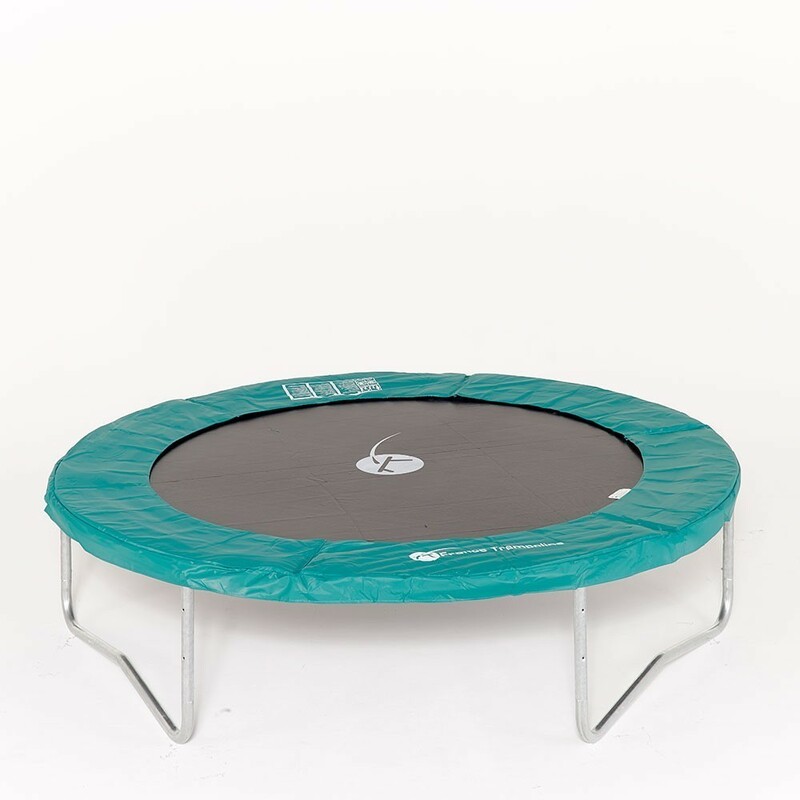 Produit de qualité qui semble très solide.